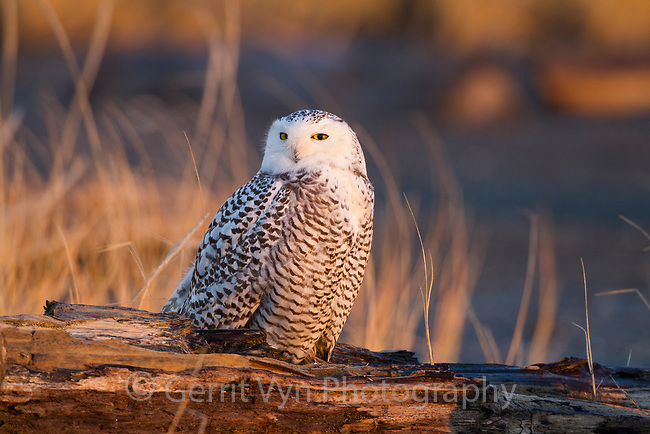 Immature Snowy Owl (Bubo scandiacus) in early morning light resting on a drift wood log. Grays Harbor County, Washington. December.